This rose gold polished three point crown is the embodiment of royalty. 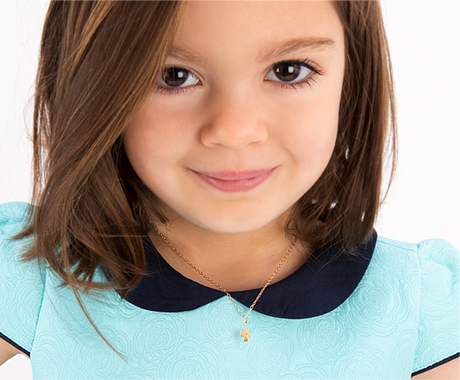 Set with a clear CZ heart in the center, your little girl will know she is the princess of your heart. Order received quickly and earrings absolutely beautiful! Great quality and perfect size for my 17 mth old!! As always, Tiny Blessing’s quality amazes me. My little princess needed these for her birthday. These are beautiful.